October marks a monthlong celebration of delicious pork and the people behind the product. Join in #Porktober18 fun by trying new recipes, exploring options at the meat counter and learning how the delicious and nutritious protein reaches your plate. Please note, by clicking the links you will be leaving a partially funded checkoff site. From crunchy bacon to savory tenderloin roasts to sizzling ground pork patties, pork is versatile, affordable and a tasty menu option for any occasion. Looking for an easy weeknight dinner? Try the Cookies BBQ pork patties from the Hy-Vee meat counter. These patties are already blended and flavored with Cookies BBQ seasoning and can easily be cooked on the grill, smoker, oven or pan-fried. Speed “The Sauceman” Herrig suggests topping the patties with a bit of Cookies BBQ Sweet Hickory Sauce, a slice of red onion and you’re set! Need a slow cooker meal for a cozy night at home? Try this Slow-Cooked Spiced-Cranberry Pork Roast. 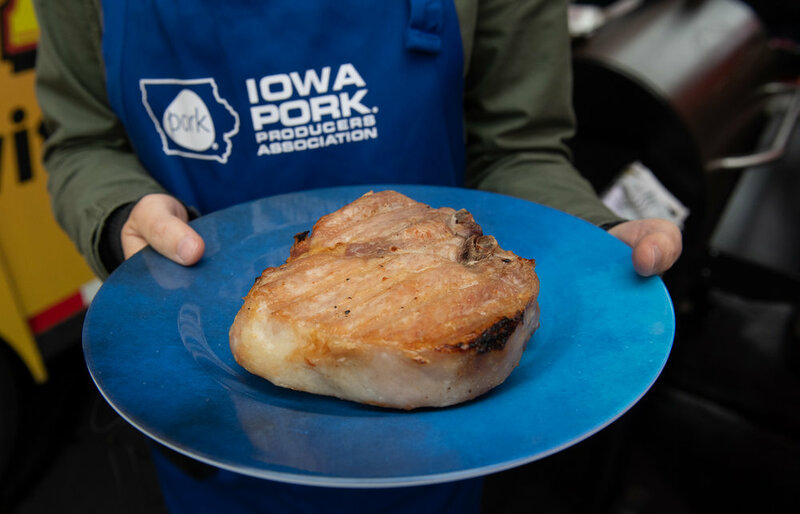 Joyce Hoppes, director of consumer information for the Iowa Pork Producers Association, notes that pork, especially pork shoulder, can be cooked all day and will stay juicy in a slow cooker. Consider adding a splash of apple juice to add some extra moisture and flavor! Want a touchdown dish for game day? Try these Harvest Kabobs. Featuring cubes of pork tenderloin, green peppers, red onions, cherry tomatoes and sweet corn cobs, these skewers are easy to prepare, grill and enjoy on game day. Looking for even more pork recipes? 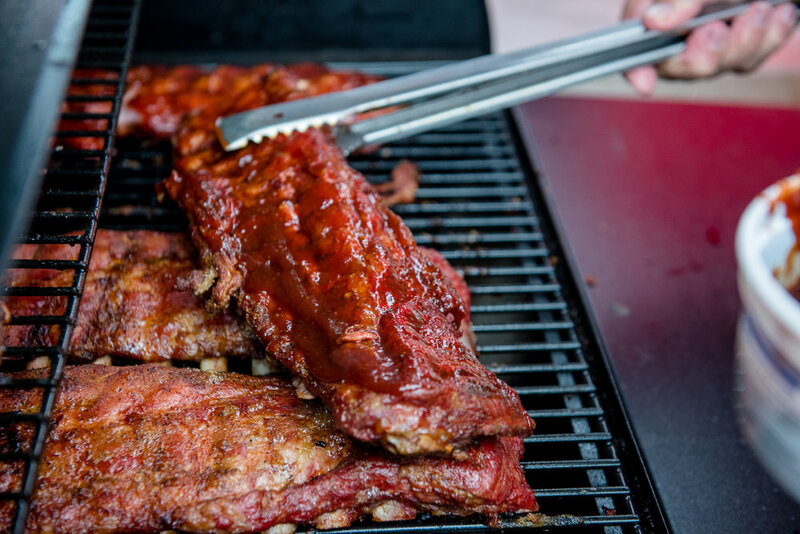 Check out recipe videos from Iowa Pork or visit the Iowa Food & Family Project recipe page. When it comes to cooking pork, remember today’s pork is very lean. To preserve the quality of the meat for a juicy, tender and delicious meal, it’s important not to overcook pork. The safe internal pork cooking temperature for fresh cuts is 145 degrees F. To check the doneness properly, use a digital cooking thermometer to measure the temperature at the thickest part of the cut without touching any bone. Once you have the desired internal temperature, remove from heat and let it rest for 3 minutes. Find a full cooking pork temperature guide here. Feel more confident about choosing fresh pork cuts at the meat counter with these tips from Joyce Hoppes, consumer information director for the Iowa Pork Producers Association. You can also reference this handy guide to better understand the different types of chops, roasts, ribs and pre-cut or ground pork. Access the guide to purchasing pork here. 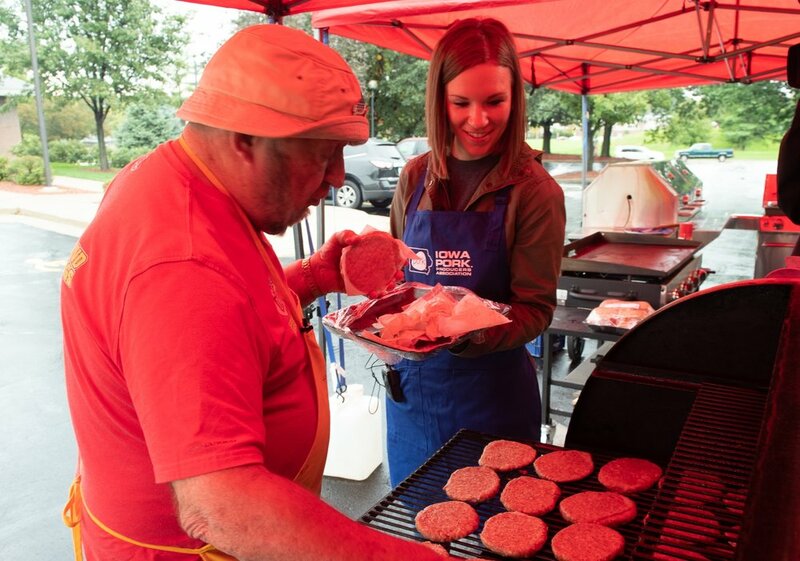 Pork is more than a delicious protein for your plate; it’s an economic engine for our state! The Iowa pork industry created 141,813 jobs and generated $36.7 billion in sales in 2017. Iowa leads the nation in pork production, raising between 40 and 50 million pigs each year. Aaron Putze, communications director for the Iowa Soybean Association, describes the ongoing partnership between Iowa’s soybean and pig farmers that creates an economic engine for our state.